SPOT THE ELF starts today! 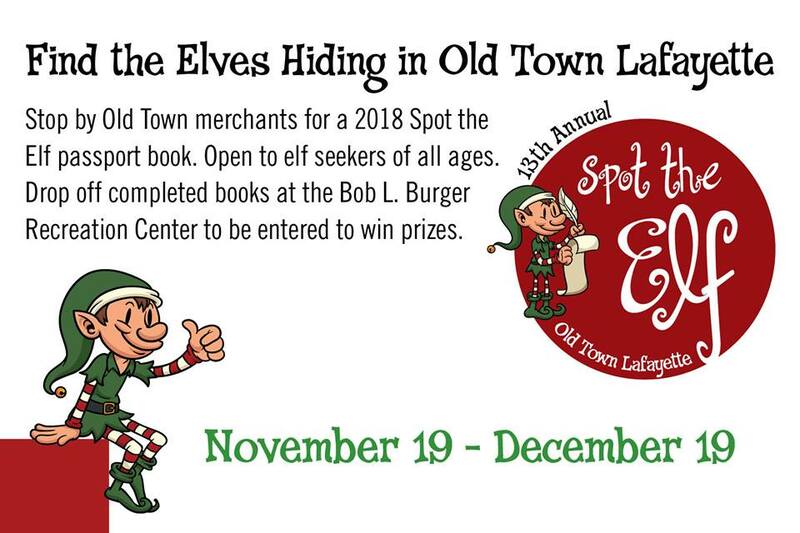 Get out and find some elves in OLD TOWN LAFAYETTE! We have booklet available. Stop and pick up one before they’re gone! This is a great way to get out to see what our town has to offer too!